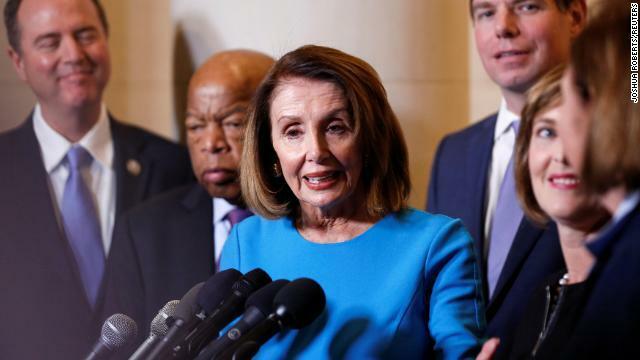 House Democrats have decided how they are going to proceed in their attempts to reopen the government when they take control of the House Thursday, according to the Washington Post. NEWS: House Dems have decided on their approach to reopen government. Will be a Homeland CR til Feb 8 (extending existing levels of $1.3b border funding) + full-year bills on the other 6, using the bipartisan Senate versions. Expected to be made public later today. Democrats plan to pass a stopgap spending bill to fund the Homeland Security Department through Feb. 8. The legislation would continue existing levels of border funding without giving President Trump the new wall money he is seeking. Six additional bills will also be rolled out to reopen federal agencies which have been closed for more than a week, resulting in the furlough of hundreds of thousands of federal employees. The House Democrats' plan would fully fund the agencies in question until September 30. As the Post notes, it is unknown how the Senate - which remains under Republican control - will respond, however we're fairly certain it's DOA per President Trump's promise to veto any legislation that does not contain the $5 billion he seeks in funding for a wall on the southern US border. To that end, Senate Majority Leader Mitch McConnell's office said that the Senate won't send President Trump a bill he won't sign. In other words, whatever the House Dems cook up is DOA unless it has funding for the wall.